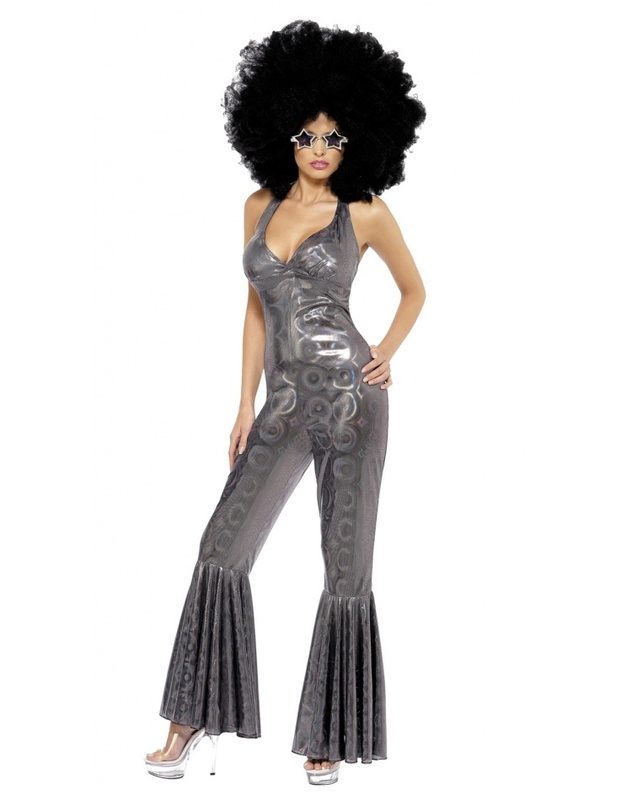 This 70's disco costume for women includes a shimmery silver jumpsuit with a halter top and flared legs. Our disco costume for women comes in adult sizes Small, Medium. 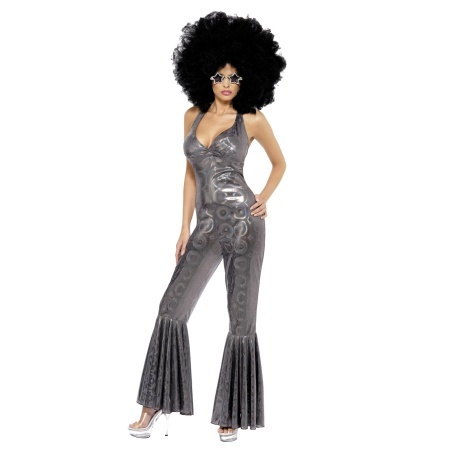 The oversized diva wig and sunglasses are not included with this fun disco costume for women.